I recently joined the Britmums Book club. I have always wanted to join a book club, mainly because I absolutely love escaping into a good book but recently find myself stuck reading the same books. The Britmums book club will give me the opportunity to try new books and discover new authors I perhaps may not have otherwise tried. The first book on the list is Honour by Elif Shafak. Whilst I found the book really easy to read I also at times got rather confused. The story skips from person to person in what is a large family. Having to read the book section at a time and around the girls meant that I often went days without able to pick the book up. At this point I then forgot the relationships between the characters. I think to overcome this a family tree printed in the front of the book for reference would have been useful. The pace of the book was just right, it flowed through the story without every feeling rushed, which I find can often happen. Even though I often got confused between the characters relationships, I loved the fact the story was told through the eyes of the whole family. The story skips between times and this adds a certain unknown element which makes you want to read more. 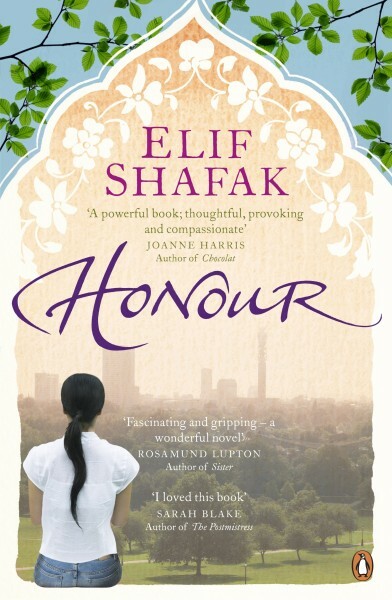 The book is set in London and Turkey in the 1970 and follows the lives of the Toprak family. The story touches on many subjects including loyalty, betrayal, loss, clash of tradition and heartbreak. I found it interesting to discover the traditions and the thoughts and feelings from each character following the brutal and chilling crime. Overall a really good and exciting read which I think could have benefited from the addition of a printed family tree, just to help those who have to stop start read.